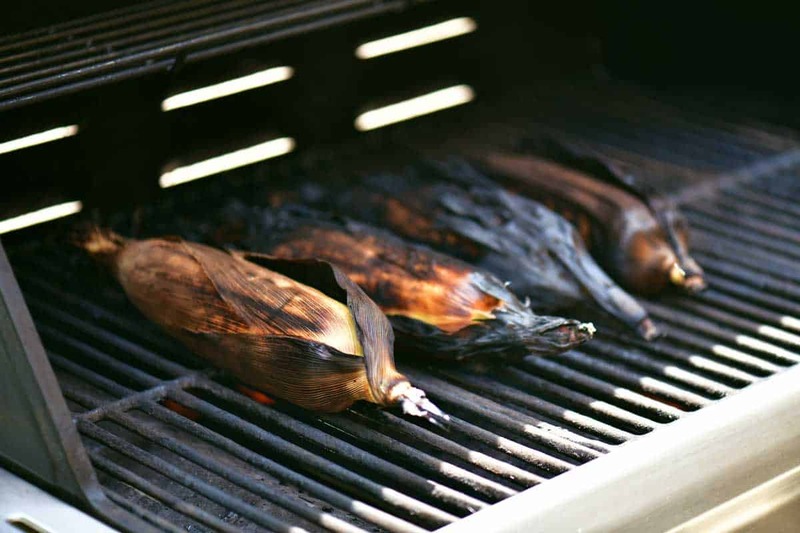 Here’s how to grill corn on the cob with the husks. It’s so easy to do with no prep, no soaking, and no peeling the sweet corn beforehand. 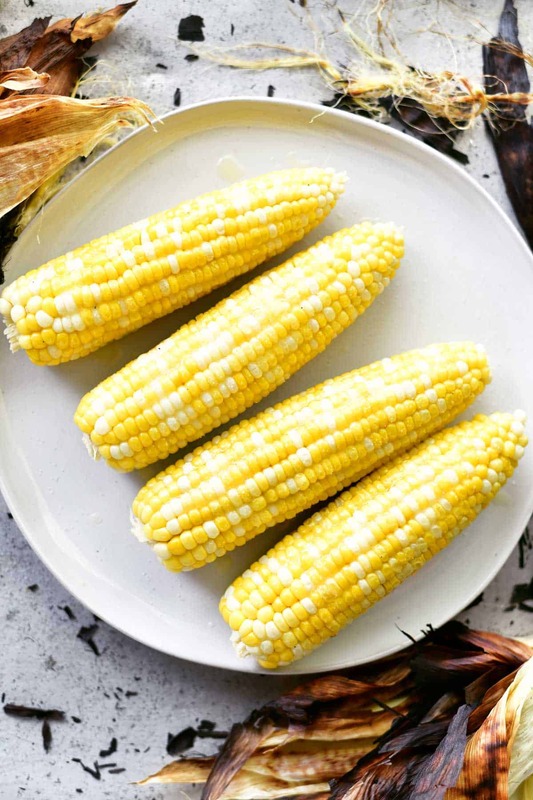 Corn on the cob is a summer staple and is part of every summer celebration and backyard cookout! 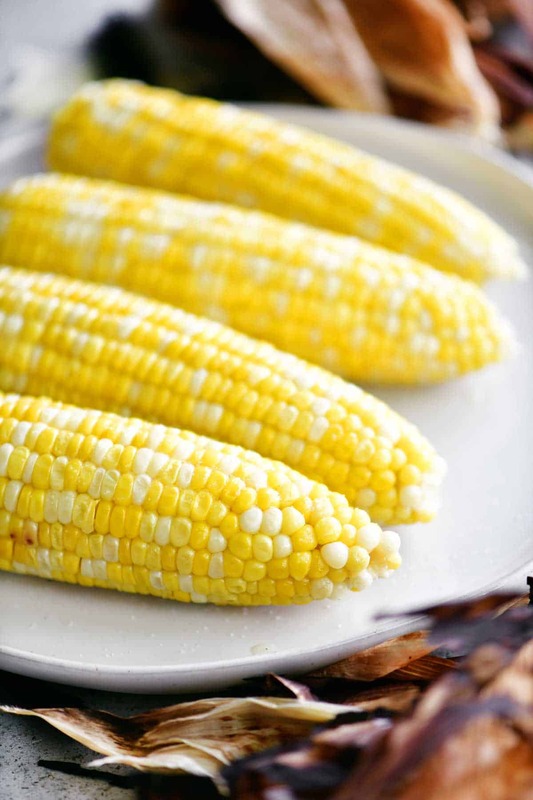 One of the most popular ways of cooking it is to grill corn on the cob. You most like already have the grill going so why not throw on some sweet corn. When grilling corn on the cob with the husks, you don’t have to do all of the peeling ahead of time. Each person peels their corn after it done cooking. Watch my video to see how to grill corn on the cob with the husks. 1. Look for bright green husks that are still tightly wrapped around the cob. 2. The stem should be moist. Avoid the dry corn. 3. The tassels should be silky, sticky and moist. Avoid the ones with black, dry silks. 4. 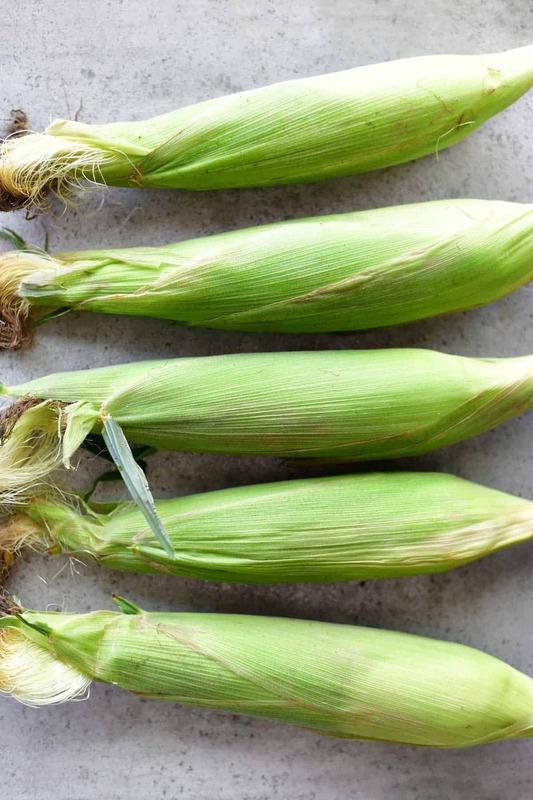 Feel along the cobs for plump, tightly packed, even rows of corn without missing kernels. 5. Check for small brown spots which could be wormholes. 6. Peel back the husks a bit to take a peek at the tips of the corn cobs without peeling back the whole husk. Warm the grill to a medium heat. Place the corn on the cob with the husks directly on the grill grate. 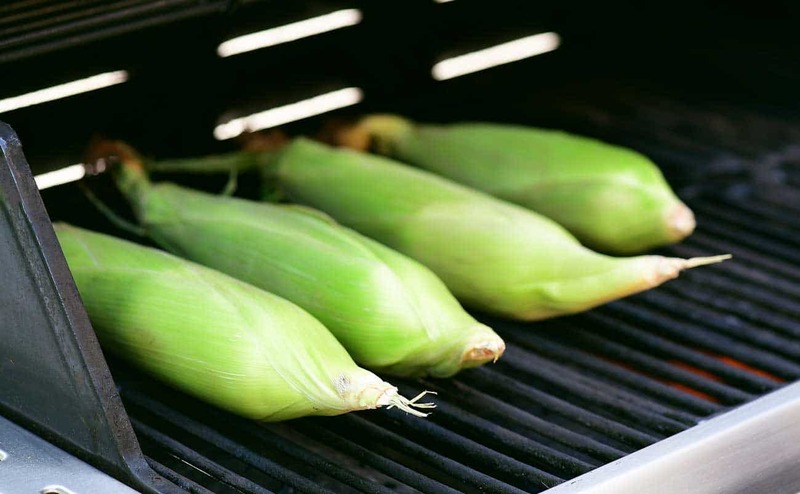 You can fill the grill gate with corn on the cob but leave a little space between the cobs of corn so that the heat can circulate and so that you will be able to turn the cobs as they cook. Close the cover and cook over medium heat. Turn the corn after about five minutes. Grill corn on the cob for 25 – 30 minutes, turning every five minutes, until hot and tender. Remove the corn from the grill and allow it to cool slightly before peeling it. Slather the grilled corn on the cob with butter and sprinkle with salt before eating it. 1. How long do you need to grill corn on the cob? The good news is that it doesn’t really matter! You can eat fresh corn on the cob raw. The grilling is to heat and tenderize the corn. I like to do mine over medium heat for 25-30 minutes with the husks on. 2. 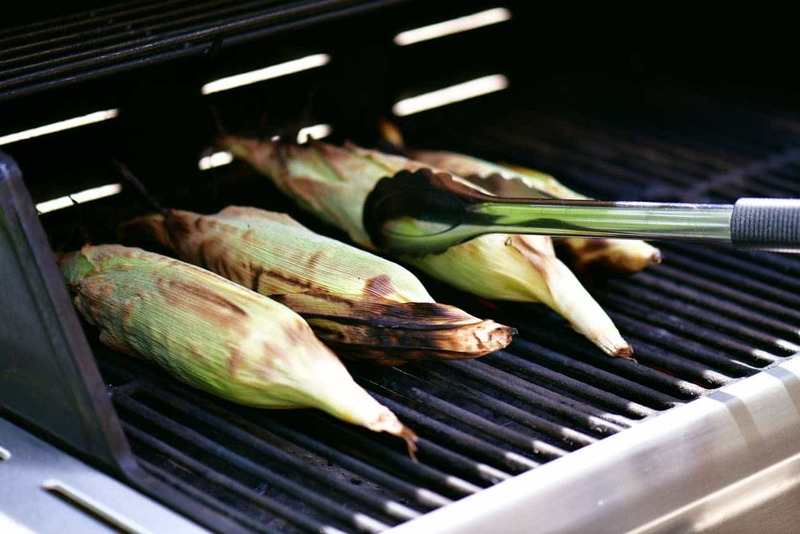 How do you know when corn on the cob is done on the grill? Once it’s hot and tender it’s done. The kernels of corn will look plumper and brighter in color than when raw. If you want to check tenderness, you use try piercing the kernels with a knife. 3. How can I get some char marks on the corn? Peel back the husk in some places before grilling. 4. 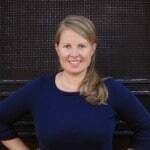 Can I peel the corn on the cob before grilling? Yes! I will be posting a recipe for this soon. 5. 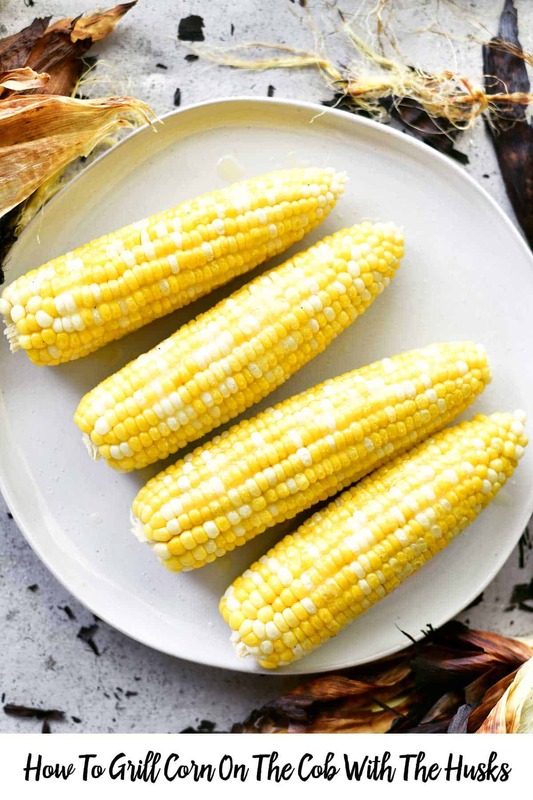 Does corn on the cob need to be soaked before grilling? I feel like this is an unnecessary step especially if your corn on the cob is fresh and is moist already (see choosing corn on the cob above). Even with soaking the husks will dry and char while cooking. 6. 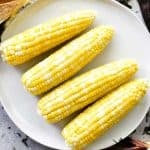 Can I add butter or spices before grilling the corn? Yes, you can peel back the husks, butter, and spice the corn, replace the husks and then grill it. Again, I feel like this is an unnecessary step. The butter and spices can be added afterward. Warm the grill to a medium heat. Place the corn on the cob with the husks directly on the grill grate. 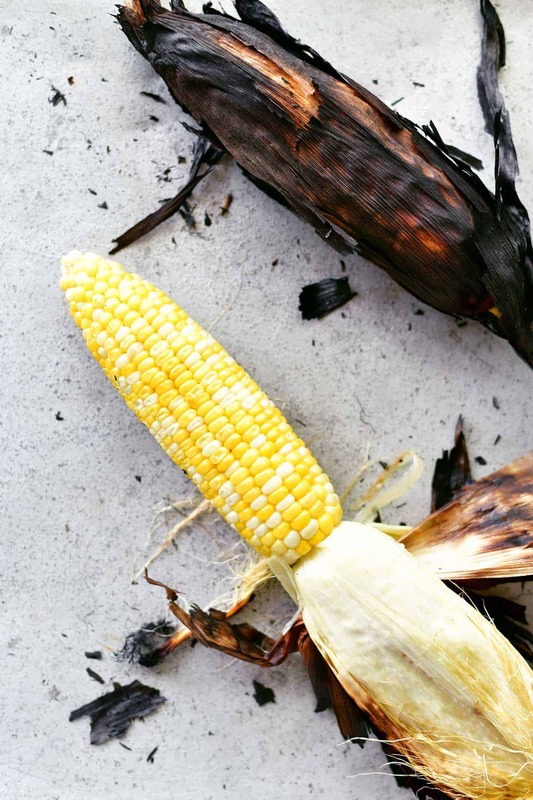 Grill the corn on the cob for 25 – 30 minutes, turning every five minutes, until hot and tender.